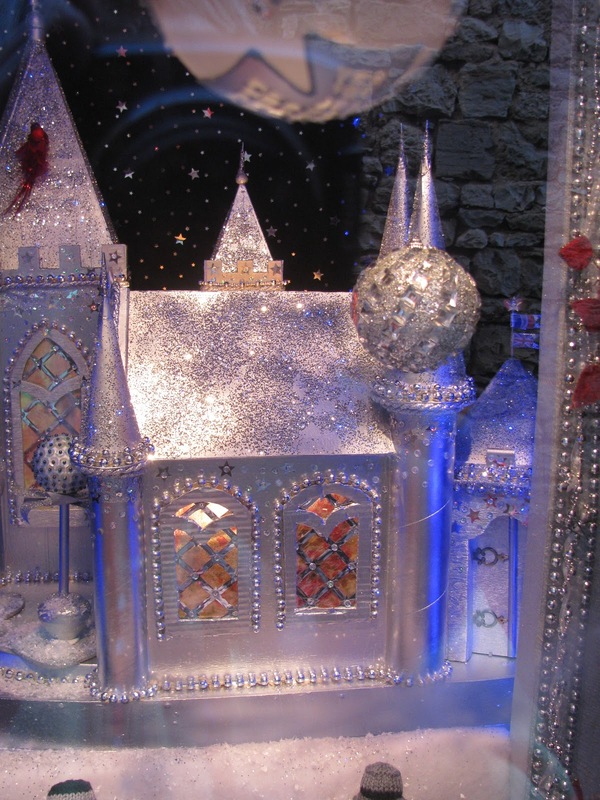 Melanged Magic: A Little of Paris Right Here in Cajarc! A Little of Paris Right Here in Cajarc! 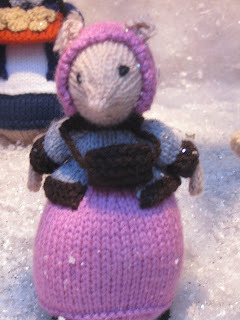 One of my favorite blogs, I Prefer Paris, always does a series of posts this time of year that I especially look forward to. Richard dutifully visits all the big department stores in Paris and posts photographs of their gorgeous Christmas windows. I can never decide which one is my favorite...Printemps, Hermes, Galeries Lafayette, BHV. I usually find something to love in each of them. 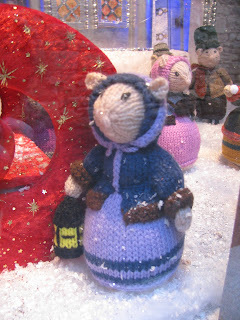 A comment from one of my readers, however, alerted me to a Christmas window in Cajarc that rivals the big boys of Paris. True, it's not quite as massive, but it's just as pretty. Camera in hand, I wandered down rue Faubourg towards the river after the Saturday market and found the window that Caroline was talking about. 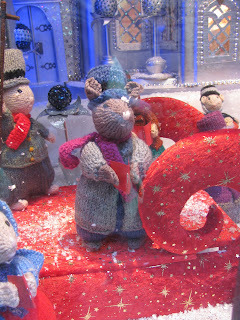 I love the combination of sparkle and glitter with the hand-knit mouse people...very clever. I saw some other pretty windows on my stroll. Those are for another time, though. 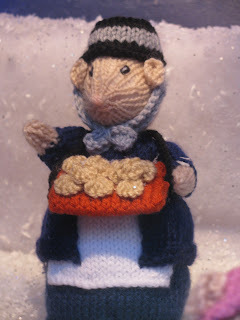 I'm glad you found it, it is a charming little scene. Happy Christmas. 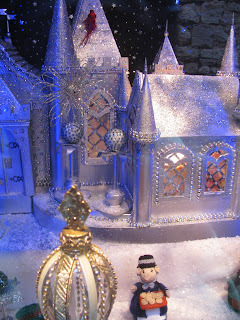 Christmas windows are a bit lacking down here in the SW but you have found a gem.